There are no known contraindications or interactions with Green Magma - however coeliacs should be cautious upon first using any Green Barley supplement. Although Green Magma is made from the young leaves of Green Barley Grass - not the head which contains gluten - we would still recommend caution to coeliacs. 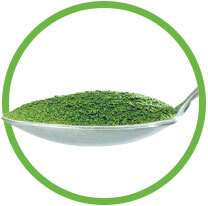 Green Magma can be a useful aid to detoxification. However - some individuals may experience some tiredness upon first using it - and individuals who suspect they may have a high level of toxins in their body should start with low doses and build up very gradually to minimise any symptoms of detoxification. Please contact us if you require any further advice or have any questions about using Green Magma to aid detoxification.